Is There A Jobs Mismatch in the Draft Regional Plan for South East Queensland? South East Queensland Regional Plan, released for comment last year, has made a number of improvements on previous versions. There will always be dissent from industry and property sector interests and there are certainly some sections of the plan and its intended application that really should be amended once the comment period closes on March 3rd. But there’s one aspect in particular which goes to some of the fundamental assumptions in the draft and that’s the balance between jobs growth (where people are expected to work) and housing growth (where they’re expected to live). The draft SEQ plan takes its assumptions about future employment and housing growth from Queensland Treasury. The people drafting the plan have altered some of the housing and population projections because they are closer to this land use consideration than a room full of Treasury economists, but they have largely left the future employment projections intact. Previous versions of the SEQRP made only scant reference to where people actually work so this latest draft is a significant improvement in that it addresses this side of the equation, but there is clearly more work to be done as I am sure they’d agree. Has the draft regional plan come unstuck? Those drafting the plan aren’t economists or statisticians but they are planners. The aim of the regional plan, at its most basic intent, should be to anticipate future trends and adjust planning schemes to facilitate growth in an orderly, affordable manner and in line with community expectations. And this is where I think part of the plan comes unstuck. Plotting the population growth and jobs growth together, and looking at where the shares of that growth are expected to occur across the region, reveals a significant mismatch. What it shows is that a number of the outer urban areas such as Logan, Ipswich and Moreton Bay, will do a good deal of heavy lifting on the population front in the period to 2041, but when it comes to jobs, their shares of jobs growth is significantly less than their shares of population growth. The opposite is true for Brisbane, which is predicted to pick up double the regional share of jobs growth compared to population growth. What this means is that, if the numbers in the draft SEQ Plan are right, the SEQ region will see a further concentration of jobs inside the BCC boundary line, and more people living in Ipswich, Logan and Moreton Bay who will be travelling into the Brisbane Council area for work. This doesn’t necessarily mean the Brisbane CBD or the mythical “5 km ring” as many of these future jobs will flow to suburban business centres within Brisbane, as they do now. Is centralisation of employment still the future? Or not? But it does still represent a future where there will be more centralisation of jobs. This is not a good thing because to encourage further employment centralisation will worsen congestion on already saturated transit networks, posing problems and solutions we simply cannot afford. It would seem to make more sense to encourage employment to disperse to additional centres through the region – allowing more jobs to be located closer to where population growth is expected to take place. This would mean specific strategies around the employment growth of centres like Beenleigh, Springwood, Cleveland, Chermside, Caboolture, Strathpine, Darra, Springfield, Ipswich, Browns Plains (as examples). Now the latest draft of the SEQRP does make a significant leap forward in this respect by introducing the concept of areas of regional economic significance (ARES) along with regional activity centres. The intent of the area of regional economic significance is to support the expansion of specific locations with future economic opportunity of regional importance. The plan identifies a large number of these (have a squiz at pages 50 to 52) but the question of ‘what happens next’ is something that’s going to require more work. I would argue that this work is well worth doing, but also acknowledge that it won’t be easy. Enhancing the appeal of various suburban business districts should be a joint state and local government initiative with private sector support. And we already have the playbook – the lessons of some 20 years of excellence in inner urban renewal could be applied just as effectively to suburban renewal, with a focus on employment and mixed uses. 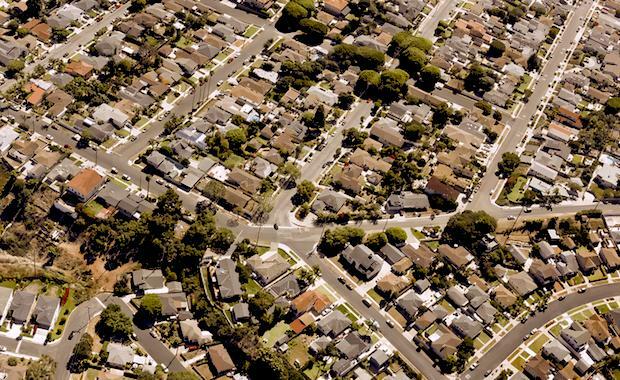 How will the economic and social forces translate to our urban footprint? A strategic approach to dispersing jobs throughout the region wouldn’t only alleviate the congestion associated with centralisation but also mean that many could find more affordable housing options close to the suburban business centres – an option unavailable in costly inner city markets unless lifestyles are compromised through limited choice in the type of housing type. Doing so also requires a concerted effort in understanding how the future economy is going to shape our region. There are people who will claim that the rise of the knowledge worker will result in more demand for inner city work, housing and lifestyle options – hence suggest we should plan around more inner urban infrastructure, housing density and employment concentration. This is mostly an untested assumption that owes much to popular psychology but little to the economic evidence. There is a growing body of evidence that suggests businesses in the future will exploit technology to reduce their dependence on high cost, high density business environments and instead pursue locations closer to the their clients and more convenient for their staff. This won’t mean the end of the CBD but could potentially signal its transition from ‘the’ central place of business to one of culture, entertainment and recreation, and one of many business centres throughout the region. The draft SEQRP is an attempt to map out a complex series of poorly understood forces – economic and social – over a long period of time. This is not an easy task but having raised community expectation that long term planning can deliver enhanced quality of life outcomes, it will be important to maintain the high effort level and to further explore some of the consequences outlined in the draft plan – the jobs and housing mismatch being one of them. This in turn will likely mean that this latest draft and the new economic territory it maps out will be the beginning of another long term journey that explores the future of work and industry in our region.